Side Mirror & Rear View Mirror. Trunk Lid & Lift Gate. Ball Joints & Control Arms. Fuel Injectors & Fuel System. 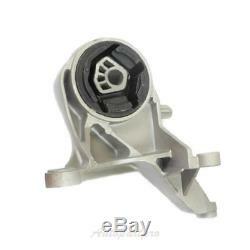 Heat & Air Conditioning Parts. Air Filters & Intake Manifolds. Oil Cooler, Lines & Parts. 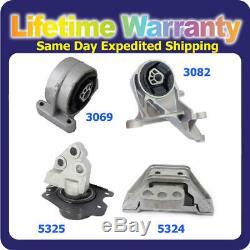 Brand New Engine Motor Mount Vehicle Fitment: 2005 - 2006 Chevrolet Equinox 3.4L Motor & Trans. Mount Set 4PCS 2006 Pontiac Torrent 3.4L Motor & Trans. 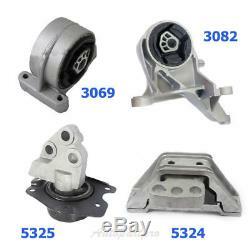 Mount Set 4PCS This Set has 1 Motor Mount & 3 Trans Mount A5324 5324 MK5324 : Front Motor Mount. 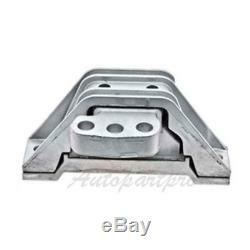 A3082 3082 MK3082 : Front Transmission Mount. 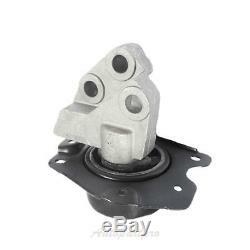 A3069 3069 MK3069 : Rear Transmission Mount. A5325 5325 MK5325 : Upper Transmission Mount. Compatibility info provided only for US models. Items must be in original, unaltered condition. No return will be accepted without this authorization number. Exchanges will only be accepted for items in original, unaltered condition. All exchanges must have a return authorization number. We are committed to your satisfaction. When you receive item, please do take a moment to leave us a Five Star Feedback. If you are not satisfied, please let us know before leaving feedback! We will do whatever it takes to earn your satisfaction. Our hours of operation are: Monday - Friday: 10:00 a. EST Saturday - Sunday: Closed. We focus on providing the best customer service possible. We will respond in the order which your inquiry was received. SEAP-APM975 3082=1,5325=1,3069=1,5324=1. The item "M975 Motor & Trans. Mount Set For Chevy Equinox Pontiac 3.4L 3069 3082 5324 5325" is in sale since Monday, October 2, 2017.